Join us March 19 2014 from 6:00pm-8:30pm with Anthony Di Iorio in Toronto, a fireside interview. 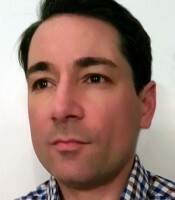 Anthony Di Iorio is the Executive Director & Board member of the Bitcoin Alliance of Canada (BAC), co-founder of Ethereum, partner and founder of KryptoKit and Cointalk.ca, a founding member, founder of Toronto’s Bitcoin Meetup, and founder of Bitcoin Decentral, a 5500 square foot co-working space and soon to be Accelerator for Bitcoin and disruptive technology innovations, located in downtown Toronto, Canada. Anthony’s passion is Bitcoin community building based on the model of collaboration with independence, adaptation, and coopetition to achieve the results of decentralization with mass acceptance and participation. Anthony is also the executive sponsor and producer of Bitcoin Expo, Toronto’s first and largest global Bitcoin conference, taking place April 11-13 at the Metro Toronto Convention Centre. Before taking on a full-time role in his Bitcoin related ventures, he was a business owner, investor, entrepreneur, and involved in a variety of technical and creative projects in emerging technology fields primarily centered around digital currencies. William Mougayar, founder of Startup Management will interview Anthony on stage, and there will be a Q&A period with the audience. We will talk about Bitcoin’s evolution, the Canadian regulatory environment, challenges, opportunities, applications, Canadian Bitcoin startups, alt-coins, Ethereum, decentralized autonomous corporations, smart contracts, cryptocurrencies, the next generation of financial services, and how to benefit from the Bitcoin economy. 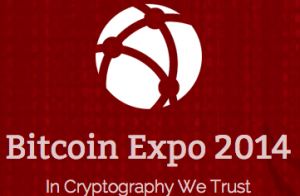 This will be a popular event, given the high levels of interests in Bitcoin. OneEleven, 111 Richmond Street West, 5th Floor, Toronto. OneEleven is Toronto’s newest accelerator. It’s your chance to visit this brand new 15,000 square feet facility, dedicated to accelerate the commercialization of cutting edge research and development for the economic prosperity of the region. This event is organized by Startup Management and hosted by OneEleven.